Back in 2016, President Donald Trump made the phrase “Drain the Swamp” a popular theme of his campaign. This struck a chord with most Idahoans frustrated with cronyism, nepotism and backroom dealing in government. It now seems that certain local Idaho legislators are working hard against simple transparency and accountability. Recently, the House State Affairs Committee killed a proposed bill on Financial Source Disclosure for Idaho State legislative candidates and their spouses. Most of the committee membership who voted against the bill are legislators who have staked out far-right positions, and belong to a group who proudly describe themselves as the most conservative members in the legislature. 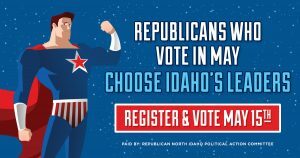 This includes North Idaho Reps. Heather Scott, Vito Barbieri, and Priscilla Giddings. They advocate ‘draining the swamp’, both in Washington D.C. and here in Idaho, but were quick to avoid doing the right thing when the opportunity presented itself. The objections and excuses Scott, Barbieri, Giddings and their colleagues offered weren’t supported by facts. Financial source disclosure is required for Members of Congress and elected officials in 48 states, and provides better transparency and accountability all across the country. Why don’t Scott, Barbieri and Giddings trust Idaho voters with the same kind of information already available practically everywhere else? What are they hiding? Taxpayers don’t need to know how much money a candidate or his/her spouse makes, but they do have a right to know who’s paying and whether it’s a legitimate source of income. But this proposed bill did NOT require showing any amounts, only sources of income. Granted, most citizens don’t want their friends and neighbors to know their annual income. However, as an elected official, the public deserves to know your source of income: whether it’s earned, a retirement pension, or a source that potentially creates a conflict. Disclosure allows the public to determine whether these sources raise any red flags. Proverbs 28:1 says “The wicked flee though no one pursues, but the righteous are as bold as a lion.” In other words, if you have nothing to hide, financial disclosure should be a no-brainer. Instead, Scott, Barbieri and Giddings have told us the answer to this question is “None of your business.” What are they hiding? Perhaps these legislators have forgotten who they work for. These protesting legislators also strongly objected to reporting spousal income sources. Why is this relevant? Last summer (July 2017), an Idaho reporter penned a column detailing how Congressman Raul Labrador’s campaign had paid his wife a part-time salary totaling over $137,000 from May 2011 through December 2016, and there was a loud public outcry over Raul’s family making a living off of campaign contributions. 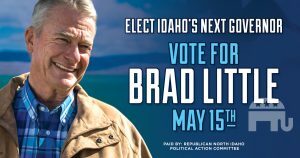 However, when asked, the Labrador campaign was quick to say they stopped paying Mrs. Labrador in December 2016, just months before Congressman Labrador announced his candidacy for Idaho Governor. Without Federal Election laws and reporting requirements in Congress, the reporter could not have obtained this information, and the Labrador campaign most likely would have continued to pay Mrs. Labrador. Nepotism isn’t illegal, but it doesn’t pass the smell test in Idaho and in today’s world is viewed unethical. Taxpayers and informed voters have a right to know if a legislative candidate has personal financial issues that impact their ability to serve before they are elected to public office, not after. It is also quite ironic that these vocal House committee members, most of whom have pledged to support Raul Labrador for Governor, voted to dump transparency and disclosure requirements the same day Raul Labrador released his “Transparency in Government” agenda. Transparency and accountability are big parts of the far right’s vernacular… but apparently only when it applies to everyone else. If these conflicted legislators have nothing to hide, they should hold themselves accountable, do what is right for the people, and bring back a legitimate financial source disclosure bill for Idaho.